This Christmas I was spoiled! 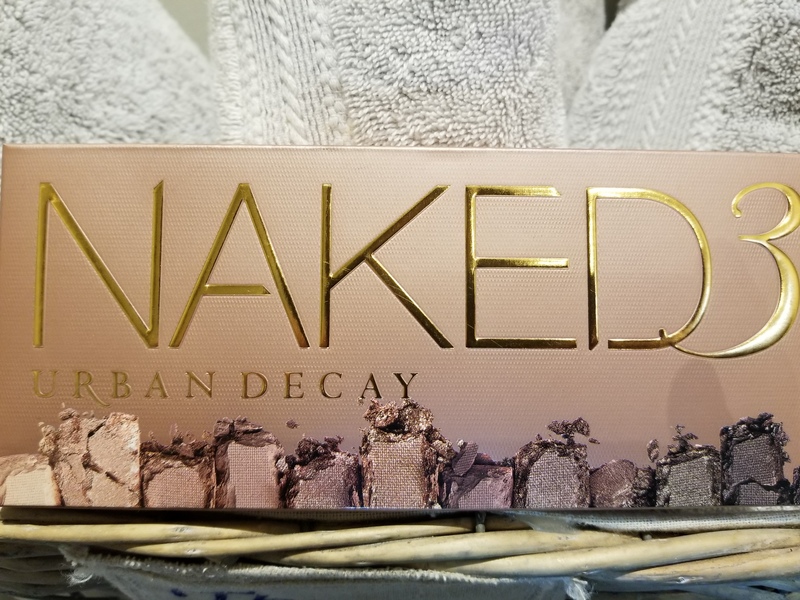 One of my gifts was Urban Decays’ Naked3 Eyeshadow Palette. I’m not sure how my brother’s girlfriend knew I was coveting it for months now- but it was a pleasant surprise on Christmas Day. Naked3 features a dozen exclusive shades for endless eye looks. Experiment with these 12 gorgeous, rose-hued neutrals—from the palest, shimmery pink to a deep black matte with rosy red micro-glitter. This palette features ultra-smooth mattes, gorgeous pearls, and glimmering metallics. Every shade in Naked3 features UD’s Pigment Infusion System™, the proprietary blend of ingredients that gives each shade its velvety texture, rich color, serious staying power, and blendability. For easy application, the mirrored case includes a professional-quality, cruelty-free, double-ended Shadow/Blending Brush. This palette is everything I had hoped it would be an more! Each of these 12 colors are gorgeous on their own, and when mixed together they are AMAZING! The brush that comes with it is also amazing and I would purchase it as a stand alone brush! They go on rich and even and blend with ease. You can combine the colors to make amazing looks. 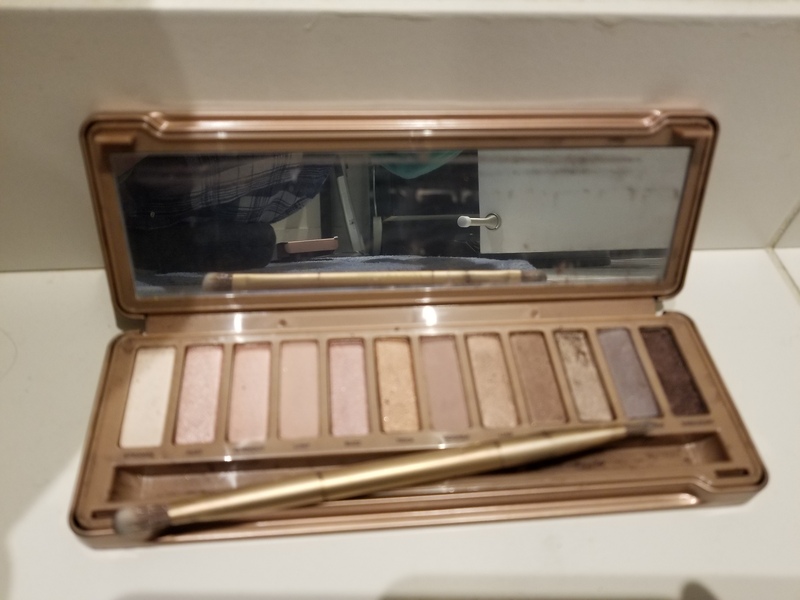 I cannot say enough good things about this palette – if you could only have 1 eyeshadow palette this is the only one that you need. Thanks again Taylor for the amazing gift! 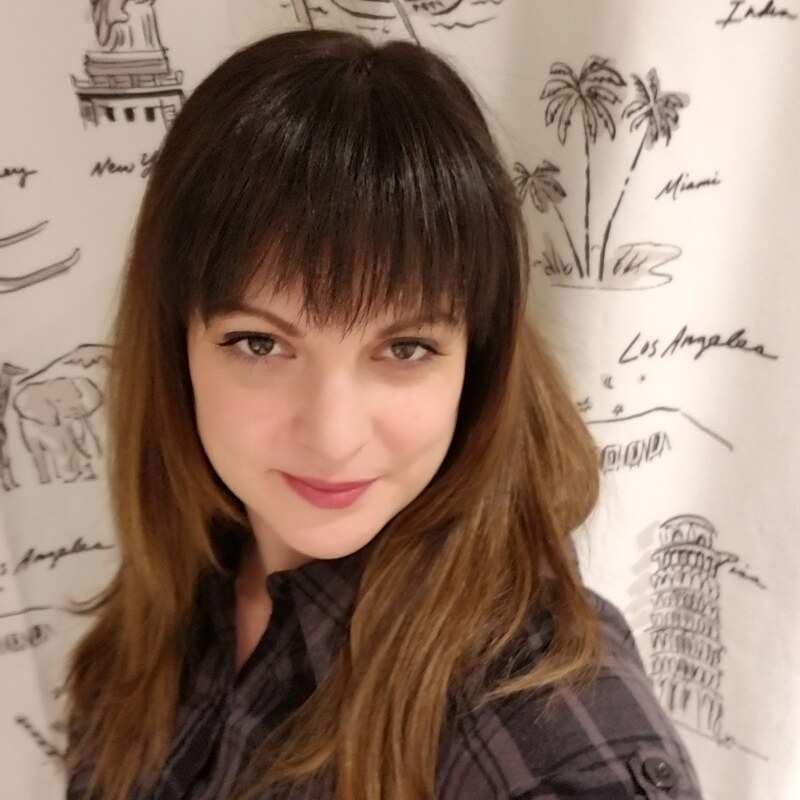 This entry was posted in Beauty and tagged beauty, cosmetics, eyes, eyeshadow, eyeshadow palette, make up, Urban Decay by maldham. Bookmark the permalink.